India is currently in the process of electing its next government. The Lok Sabha Election 2019 will be conducted in seven phases. The first phase of the General Election wrapped up on April 11. Phase 2 of the Lok Sabha polls will be conducted on April 18. In this phase, 13 states will go to the polls, which will be conducted across 97 constituencies. One of the states that will go to the polls on Thursday is West Bengal. West Bengal is one of the few states that will have its elections in seven phases. Bihar and Uttar Pradesh are the other two states that will have their polls in seven phases. There are three constituencies in West Bengal that will go to the polls on April 18 - Jalpaiguri, Darjeeling, and Raiganj. On April 11, Coochbehar and Alipurduar went to the polls. In Phase 3 which is on April 23, Balurghat, Maldaha Uttar, Maldaha Dakshin, Jangipur, and Murshidabad will conduct their elections. Kolkata Uttar and Kolkata Dakshin will go to the polls on the last phase which is on May 19. The result of the General Elections will be declared on May 23. The BJP candidate from Jalpaiguri is Jayanta Ray while Bijoy Chandra Barman is the TMC candidate. Mani Kumar Darnal is the Congress candidate for Jalpaiguri. CPI (M) has fielded Bhagirath Roy for the constituency. While the BJP has fielded Raju Singh Bisht for the Darjeeling constituency, TMC has fielded Amar Singh Rai. The Congress candidate for Darjeeeling is Shankar Malakar and Saman Pathak has been fielded by CPI (M). As for the Raiganj constituency, Deboshree Chaudhury is the BJP candidate, Kanaia Lal Agarwal is the TMC candidate, Deepa Dasmunshi is the Congress candidate and Mohammad Salim is the CPI (M) candidate. While the biggest national parties BJP and Congress have their presence in West Bengal, Mamata Banerjee-helmed Trinamool Congress (TMC) and the Communist Party of India (Marxist) or CPI (M) are the primary players in the state. With its aggressive campaigning, advertisement and formidable leadership, the BJP is now the biggest threat to the Banerjee government. The Chief Minister who has been at loggerheads with the big parties recently took a jibe at them and said, "Don't be proud that only you (Congress and BJP) are national parties. The Trinamool is also a national party and after the elections it is regional parties that will decide who will form government in Delhi." 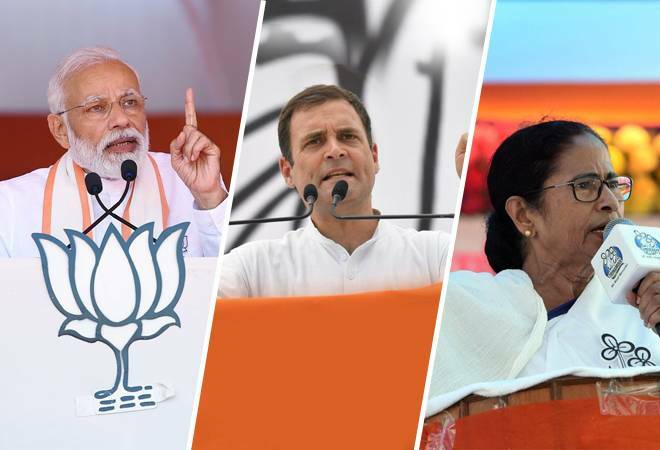 The states that are going to polls in Phase 2 of Lok Sabha election 2019, apart from West Bengal, are: Assam, Bihar, Chhattisgarh, Jammu and Kashmir, Karnataka, Maharashtra, Manipur, Odisha, Tamil Nadu, Tripura, Uttar Pradesh and Puducherry.